Need a well-weighed selection of acoustic systems? Read on for a roundup of the best low-budget, mid-range and high-end studio monitors. My top 11 choices for amateurs and pros, key features, video reviews, and the final verdict! Why would you bother about monitors in the first place? After all, headphones or your hi-fi setup could do the trick. The short answer here is: you need natural sound. Whereas hi-fi or PC speakers ‘tune’ the sound to improve your audial experience, speakers tend to reproduce balanced mixes that will work fine on most devices and for most audiences. Now, what’s the difference between speakers and monitors? In the same vein, the former may have an impact on the recording (weird response curve, too much bass) whereas the latter reproduce the recorded sound with no extra overtones. Monitors are flat and accurate, with minimal distortion – a great fit for critical listening and studio recording. Long story short, larger pro studios where ‘critical listening’ is a must-have should opt for monitors. Smaller home studios will do great with either plain speakers, or monitors if the budget permits. To come up with a well-balanced collection of speakers, I split my choices between the best inexpensive, mid-range and high-end categories. The starting budget is $100, and the sky is the limit. In my list, I only included models with a long track record and a good reputation among recording pros and home studio users. Tastes differ as regards sound quality, so my intention was to put together the top picks from several brands for a better picture. Now let’s get closer to it. First on my list comes the selection of the most affordable monitors. Entry-level speakers that garnered most recognition from the community. Popular, highly recommended, and totally to my liking. This Alesis model offers some great value for the money. Cheap and cheerful, these speakers will provide great performance in a home recording studio. Alesis Elevate 5 comes in a pair so you get a complete setup at an incredible price. What’s included in this model? In layman’s terms, these specs mean that you can’t get any booming sound out of this pair, but for a reasonable price, you can enjoy a pretty large woofer and overall clarity. For greater wattage, try the newer 75-Watt (50 low and 25 high) model, Elevate 6 . In both versions – 5 and 6 – you can utilize a nifty power-saving tool. Although this may cause certain hiccups in specific scenarios, the power saving really takes a few bucks off your electricity bill. Worth considering if you find yourself in an intensive recording environment. Here’s a descriptive video overview of the Elevate 5. Watch for the key features, benefits and tech characteristics. The video per se is somewhat pitchy but it really helps you get a better idea of the model. Need equipment for a basic home studio? This budget device is exactly what you need. M-Audio AV42 is a pair of compact desktop monitors, the siblings of the older AV40 model. What to make of it all? Clear sound in the near field. Decent loudness that won’t be window-shattering, yet a good fit for a small studio. Flexibility and ease of use. I mean, obviously, that’s not a top-notch tech parameter, but it’s got a great look and feel. In the AV42, the cones are placed safely behind a grill, so the device doesn’t get hot to the touch like its predecessors or other models. The quick review below touches upon volume control, master vs. slave units, multiple input/output options, and advantages over the older M-Audio speakers. An obvious recommendation when it comes to cost-efficient studio speakers, Audioengine products have been on the radar for quite a while. The A2 towers over the previous two models on my list with its greater wattage and frequency response, yet remains in the affordable range. Behind the figures and features, one finds clear lows and highs (in spite of the 3/4″ tweeter), a comfortable bookshelf style, smooth compatibility and easy controls. Killer feature: Small footprint – great outcome. Audioengine offers one of the best ‘power-to-weight’ ratios on the market. Speakers this size are indeed capable of filling a whole big room with solid and refined sound. Check out this video overview for more details. The reviewer suggests this model requires a standalone subwoofer to cater to the lower frequencies. Get more details and judge for yourself. Unobtrusive and well-performing, JBL’s LSR308 builds up an awesome soundstage. The model highlights subtle details that you could’ve missed in a different audial experience. This duo will work just fine without a subwoofer. You’ll be surprised to find impressive lows and loudness that one could hardly expect within this reasonable price range. How does LSR308 stand out from the crowd? Jargon aside, this model delivers advanced depth and ambience in recordings, even in a dense mix. Plus, you don’t have to stand in front of the speakers to make smooth adjustments to the mix. Detail is key. The expansive soundstage and wide stereo panorama offered by JBL definitely have an edge over the competition. That’s it in the budget department. If you’re looking for a cheaper way to check your recordings, feel free to consult my review of home studio headphones. This is the golden middle where you can find superb studio monitors for a close-to-entry-level price. These few picks raise the bar for mid-range sound quality. Browse through the section for improved frequency response and greater wattage. Bordering on the budget category, the Rokit 5 really rocks! When you see those bright yellow dots, you know that’s the stuff you need. A highly recommended choice in the mid-range, these speakers beat many a competitor, and for a reason. So what comes in the bundle? Translated into common language, this stands for low distortion, perfect clarity, and large headroom. This pair also provides superior imaging, and the ability to make high-frequency tweaks and tunes on the fly. Rokit delivers detailed imaging in the listening position. The front bass port reduces boundary coupling and allows for flexible location, and the surface keeps off distortions. As bright and clear as it gets in this category. The video review below questions whether KRK is the best you can get for this price, and, well… answers in the affirmative. This clip also includes feedback from a professional audio producer. Industry standard performance for a moderate price? That’s Yamaha. HS7 delivers loud, crisp, solid sound, and throws in a few nice perks for audiophiles. That’s definitely an upgrade compared to the KRK Rokit 5 – and KRK is really good. Yamaha is more punchy and offers the utmost in the mid and high range. To provide more accurate sound in the mids, HS7 kind of reduces its bass capabilities. For a boomy bass, feel free to add a standalone subwoofer. The thing with HS7 is that it sounds good. It doesn’t get pushy in the low mid, and there’s no high end shelf. A great fit for audio/video production and postproduction. Not surprisingly, I’m adding the Focal Alpha 50 on the list. It’s a top pick among studio owners and audio pros, and one of my personal favorites. You won’t get sticker-shocked with Focal, yet its sound quality is on par with many high-end offerings. What’s the bottom line? The Focal Alpha 50 is a multi-purpose studio monitor with quality components and a well-conceived design. It’s a perfect fit for a small studio, and performs well with instrumental and electronic music. Like Alesis, this Focal model also has an auto shutdown mode – it goes off after half an hour of inactivity. As opposed to the classic sweetspot-focused design, Focal bets on low directivity. In other words, the sound from its 5″ woofer and 1″ dome tweeter circulates better around a room. The MixCube is a mini reference monitor focusing on the mid range. It comes with a single 5.25″ woofer and produces sound with no tweeter involved. There are no complicated controls: all you need to do is plug and play, and follow your mix. Avantone makes each model duly shielded so there will be no interfering with your computer’s sound. These speakers are shipped in a 6.5″ cube MDF cabinet, provide a relatively small footprint, and come in classic black and cream colors. Where does this all bring us? MixCube is a dream for mono mixing in your setup. 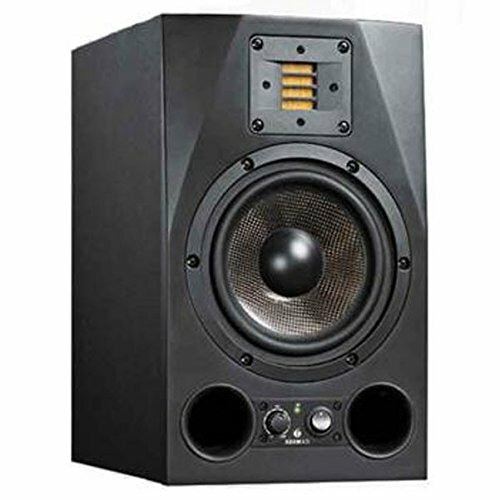 These home studio monitors enable easier mixing of vocals and instruments within the mid frequencies. Plus, it’s compact and lightweight. What else could you ask for? MixCubes are based on the good old architecture of bass-deprived, full-range 5 1/4″ speakers that you can find installed in many car and hi-fi systems. If your mix works great on these monitors, it will sound equally awesome pretty much anywhere. The models here can be really pricey. They are utilized by pros who require pristine sound clarity, great performance in the entire spectrum, and outstanding frequency response. Since Adam was a boy, the A7X has delivered some great audial experiences to pros and amateurs alike. Borderline mid-range, this model sports some real high-end characteristics. With impressive frequency range and bass power, Adam is a standard for near-field monitoring. Check it out; you can’t go wrong! In the Adam, there’s a bunch of other bells and whistles like chamfered upper corners around the tweeters, and smart design and nifty architecture to keep off edge diffraction. Smooth mids. It’s a soft option and great value for the money. Kudos to the Adam manufacturers! Their custom-built tweeter really rocks. The idea of using a folded ribbon instead of a woofer seems brilliant. Adam works magic with high-end frequencies and clarity. Go for it! In the YouTube review below, the observer praises the Adam controls and universal applications. Check this out for a succinct, yet comprehensive assessment. I’ve already covered a Focal above, but this one is a completely different story. The Focal Twin6 Be studio reference monitor is on the super high end. They are not cheap. However, it does make sense to shell out for the sake of impeccable sound. In more detail, Focal’s inverted-dome tweeter revales higher efficiency, precision, and energy than its siblings or competitors. The extra third cone also contributes to the overall sound quality. Hearing is believing, so make sure to check it out – or buy it as soon as you got a spare couple grand. That’s what keeps Twin6 ahead of the game. Whereas most similar designs employ a bigger bass driver and a smaller mid one, the Twin utilizes identical 6.5″ drivers for both. In the video below, an audio engineering professional reviews the entire Focal Professional lineup and explains why he thinks these models are superior to their competitors. Good things come in small packages. This adage is more than true when referring to this KEF mini monitor . Mind-blowing quality in a bookshelf model. Great look and feel. Accolades from Stereophile, What Hi-Fi and other reputed sources. Totally worth the money. Behind the tech jargon, one finds agility and dynamic and tonal accuracy. The KEF LS50 always stays precise staging-wise: it reflects everything – which, of course, could include recording flaws, but that’s another story. 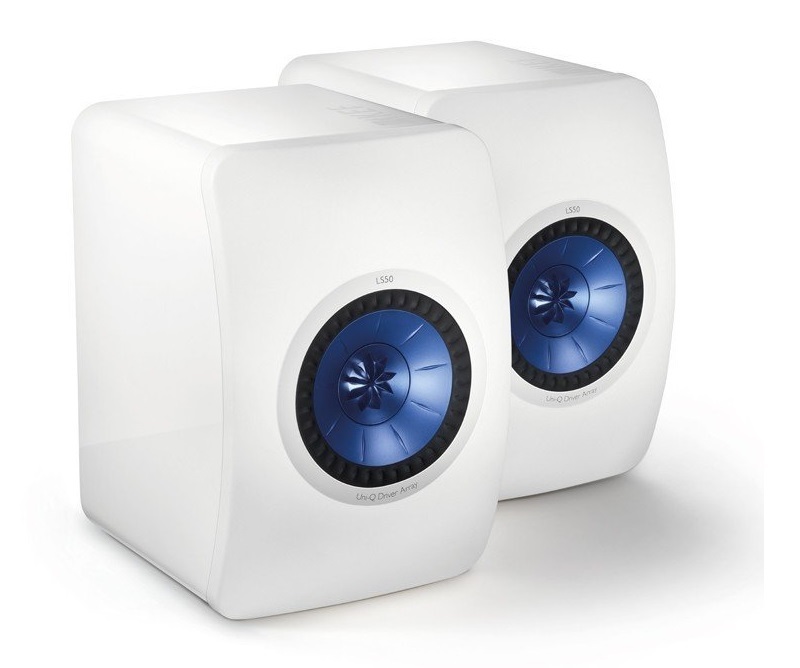 The KEF also looks fantastic: it’s compact and powerful enough to cover most typical studio needs. Hold your breath and shoo away the insects – the KEF will reveal anything that happened. Make sure you position it right for the best results, and enjoy the ample rich audio. Now that my roundup of the best low- and high-budget acoustic systems comes to an end, it’s time to give out the awards. The choice is really tough here, since I’m sort of comparing apples to oranges, but I’d like to pick two models that will fit most common use scenarios. My silver medal goes to the Yamaha HS7 for its smart functional compromise between low, mid and high. The gold goes to Adam for its excellent price-to-performance ratio, superb frequency response and bass that makes you shiver – in a good way. Interested in related stuff that you might need along with your monitors? I hope you enjoyed this short roundup. As always, I anticipate your comments and suggestions.